Funeral services for Ms. Stephanie Mullins Evans of Americus, Georgia will be held on Monday, August 3, 2015 at 1:00 P.M. at the Friendship Baptist Church on Cotton Ave. in Americus, Georgia with Rev. Lodenia Coleman officiating. Burial will follow at the Eastview Cemetery. Ms. Stephanie Yvonn Evans was born on December 25, 1972 in Sumter County, Georgia to Victoria Mullins and the late Willie C. Evans. 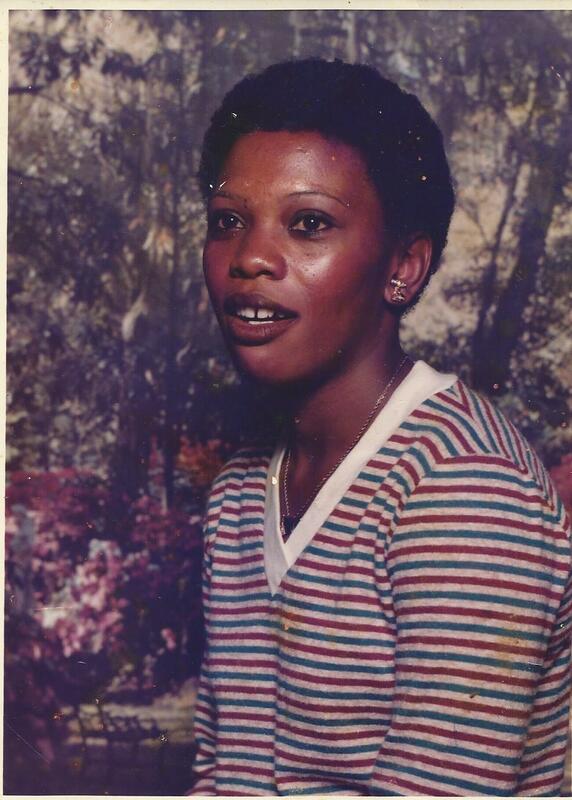 Ms. Evans passed away on Monday, July 27, 2015 at the Phoebe-Sumter Medical Center in Americus, Georgia. She leaves to cherish her memory, three children: Jasmine T. Mullins, Keegan B. Mullins and Jason L. Peeples; five brothers: Freddie L. Mullins, Eddie L. (Joann) Mullins, Robert (Valerie) Jones, Willie C. Evans, Jr. and Shannon (Linda) Evans; one sister, Rose (Leon) Baisden; four grandchildren: Milo Mumford, Jr., Keelen Mullins, Jailyn Peeples and Makela Mullins; several devoted friends including: Paula Ruff, Renea Mann, Barbara Mathis, Tommy Daniel and Tonia Woods; a devoted cousin, Fred Dennis Carter, Jr. a host of other relatives and friends. Funeral services for Mrs. Ella Ruth Sims Durham of Americus, GA will be held Saturday, July 25, 2015 at 3:00 P.M. at the Bethlehem Baptist Church in Plains GA with Overseer Johnny Lundy officiating. Burial will follow at the Bethlehem Cemetery. Mrs. Ella Ruth Sims Durham was born in Sumter County, Georgia on May 19, 1955 to the late Mr. Charlie Sims, Jr. and the late Mrs. Ella Ree Lundy Sims. She received her education in the public schools of Sumter County. At an early age she joined the Bethlehem Baptist Church. Later she moved her membership to Mt. Olive Baptist Church and finally to the Miracle Temple House of Prayer & Deliverance Ministries. She was a loving mother, grandmother and great grandmother. She loved to laugh and to keep her yard looking beautiful. Mrs. Durham died on Tuesday, July 21, 2015 at her home in Americus, Georgia. She was preceded in death by a brother, Clarence Sims and her grandparents, Rev. J.W. (Annie) Lundy. She leaves to cherish her memories, her husband Joe Durham, Jr. of Americus, Georgia; her loving and devoted children: Sharon Durham, Karen R. Durham both of Americus, Georgia Joe Durham, III of Atlanta, Georgia and Travis Durham of Laurel, Maryland; four brothers: Albert Sims, III of Fitzgerald, Georgia, Charlie Sims of Americus, Georgia, Johnny Sims of Atlanta, Georgia and Joseph Sims of Columbus, Georgia; one aunt, Mary L. Carter; two uncles: Bishop James (Ossie) Lundy and Overseer Johnny (Carol) Lundy both of Americus, Georgia; two great aunts: Thelma Solomon and Mae Ola (Charles) Louis both of Americus, Georgia; seven grandchildren: Briana McCoy, Briaca Durham, Brittany Durham, Trenell Durham, Jamaiya Williams, Tiara Durham and Tamia Durham; two great grandchildren: Jayden Durham and Jisele Durham; one sister-in-law, Betty (Rev. Eugene) Mack of Americus, Georgia. Several other relatives and friends alsosurvive. Funeral services for Mr. James Curtis Byrd Strange of Americus, GA will be held Sunday, July 26, 2015 at 2:00 P.M. at the Eastview Seventh Day Adventist Church with Elder Edd Ross officiating. Burial will follow at the Eastview Cemetery. James Curtis Byrd Strange affectionately known as “Cody Moe” was born on January 10, 1950 to the late Ruby Lee Strange and the late Roy Byrd in Mt. Vernon, GA. James was educated in Montgomery County, GA, He began farming at a very early age working with Chris McCray for forty years. James was preceded in death by his parents & his daughter, Audrey Byrd. On Saturday, July 18, 2015, James peacefully passed away at his home. James will be greatly missed by his family and friends. He leaves to cherish his memory three children:a son James (Tia) McGee, two daughters; Lacrisha Byrd of Atlanta, GA and Monique Byrd of Americus, GA; three step-children: Lashonda (Tore) Mansfield of Americus, GA, Chiquita (Shon) Hosley of Leesburg, GA and Leconte Carter of Jacksonville FL; a devoted friend of 25 years Virginia “Tina” Hand of Americus, GA; four sisters: Juanita (Elder Edd) Ross, Geneva Williams both of Americus, GA, Hazel Judie of Albany GA and a devoted sister Phyllis Green (Nathaniel Lester); 10 grandchildren including a devoted grandson, Marlon Davis Jr, Lamkembria Davis, Latoria Mansfield, Destiny Mansfield, Shonquishiana Holsey, Shonkia Holsey, Shontiaria Holsey, Shondraya Holsey, LeConte Carter Jr. and Lakayla Carter. Several other relatives and friends also survive. Graveside Services for Trevious Maquan Murrell, Jr. were held at 11:00 a.m. Saturday, July 18, 2015 at Colonel Felton’s Memorial Cemetery in Marshallville, Georgia with Reverend Freddie Golphin officiating. 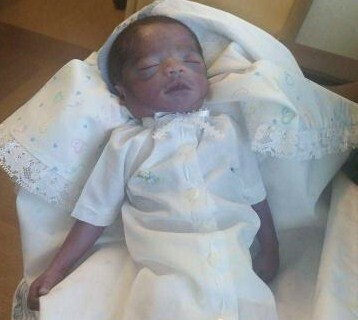 Left to cherish the memory of this precious baby boy are his parents: Shandon Lashawn Allen of Montezuma, Georgia and Trevious Maquan Murrell of Byromville, Georgia; brothers and sisters: Antonio Allen, Genesis Westberry, Zy’rianna Murrell and Peyton Thomas; grandmothers: Shirlene Allen of Montezuma, Georgia and Gloria Smith of Byromville, Georgia; a host of aunts, uncles, cousins and other relatives.